Hi, it was a bold and innovative decision of director Michel Hazanavicius to make The Artist a feature-length, 4:3, black and white, silent movie in good old 2D. And this artistic decision really payed off at the Oscars. Fact 1: The Artist is the second silent movie in Oscars history to win Best Picture. Since the 1st Academy Awards in 1929 only "talkies" won Best Picture. The Artist is now, 83 years later, the second silent movie, after the film Wings, to win the Oscars. Fact 2: Hugo is a vintage movie about a French silent film maker. Martin Scosese's film Hugo is a homage to Georges Méliès, a French illusionist and pioneer film maker, and plays mostly in a fictitious Parisian train station in the 1930s. It is the story about an orphan boy, working at said train station, trying to solve a mystery involving a writing automaton, a human-like machine, which is linked to the French silent film maker. The film also raises some interesting philosophical questions. Fact 3: Hugo is a 3D film with lots of CGI effects. Despite being a vintage-style film set in the 1930s, it is Martin Scorsese's first film in 3D. Also parts of the set, the inner workings of the clocks, the toys and the writing automaton are computer-generated, giving the film an artificial, painted look. Fact 4: 3D is not that great (yet). Milla Jovovich host of the Academy's Sci-Fi Awards 2012 and also known as Alice in the 3D movie series Resident Evil. Now hold your breath, I prefer 2D films over 3D and regard the current (!) 3D experience inferior to good old 2D. 3D is in theory great, but in practise it is half-baked. There are also other important technical limitations in current 3D technology, which Roger Ebert summed up in the blog post Why 3D doesn't work and never will. Unless the limitations are solved, 3D remains a gimmick, good for special effects short films, but not suitable for feature-length films. Fact 5: Both movies won five Oscars. 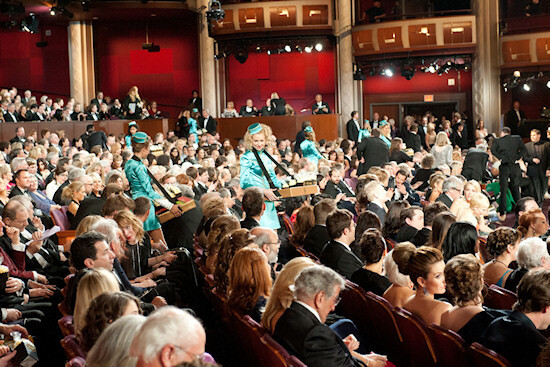 The Artist won Best Picture, Directing, Actor In a Leading Role, Costume Design, and Music (Original Score). 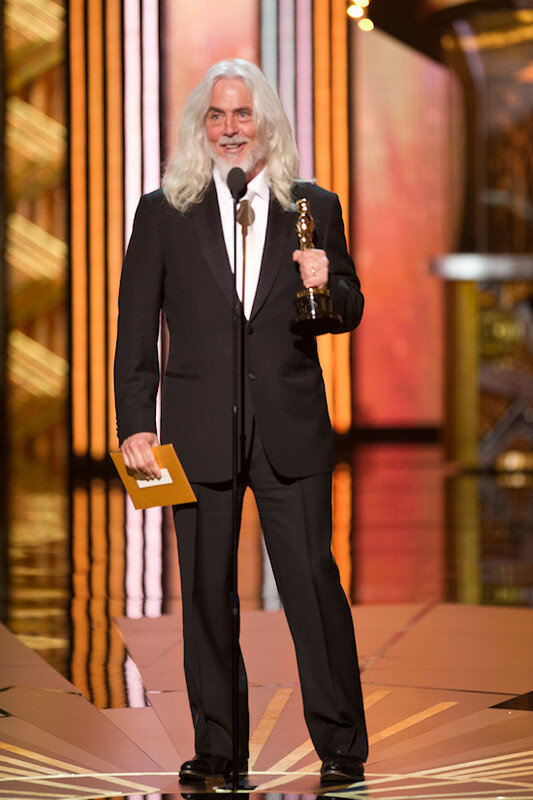 Hugo won Art Direction, Cinematography, Visual Effects, Sound Editing and Sound Mixing. Fact 6: Hugo was more than ten times more expensive than The Artist. Good to see that budget is not everything. 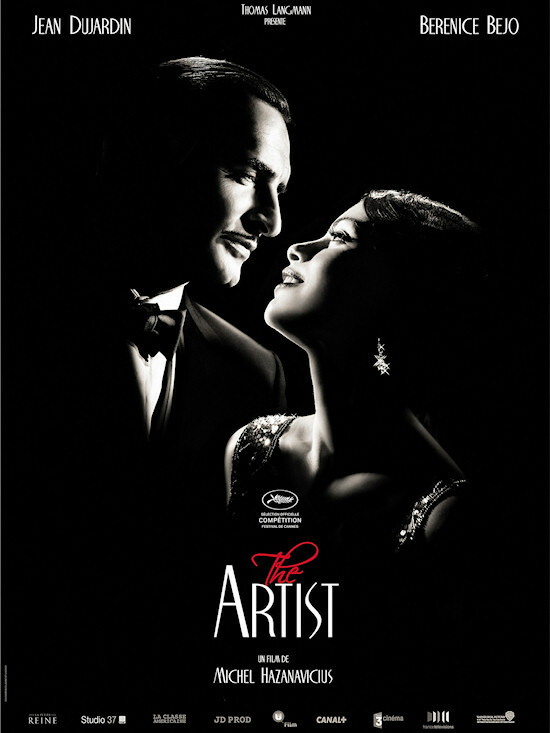 Fact 7: The Artist is the first Academy's Best Picture, which is exclusivley financed outside the US and UK. 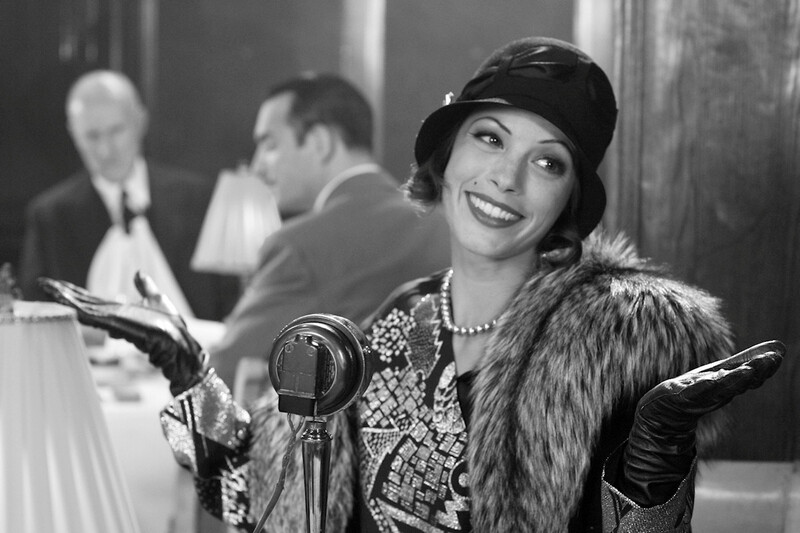 The Artist is actually a French/Belgian production filmed in Los Angeles. All other Best Picture films to date were either financed by the US or partly by the UK (11 movies to date). 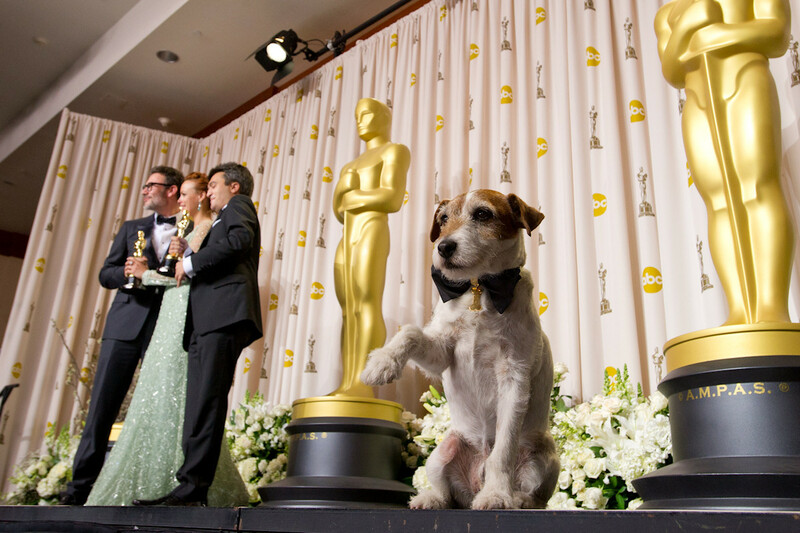 Fact 8: Uggie is the name of the cute dog in The Artist. Uggie, the dog in The Artist, is a Jack Russell Terrier. Fact 9: The Kodak Theater, where the annual Oscars ceremony is held, is now called the "The Hollywood and Highland Center". As a consquence of Kodak's bankruptcy "The Kodak Theater" was renamed to "The Hollywood and Highland Center" in 2012. Photo credit: Greg Harbaugh © A.M.P.A.S. The Hollywood and Highland Center in Hollywood, California. Fact 10: Movie Theaters will not die, any time soon. Despite previous predictions, that television, VHS, DVDs and Blu-Rays and Downloads will be the demise of movie theaters, the big screen and the social experience are good reasons that movie theaters will stay with us for the forseeable future. 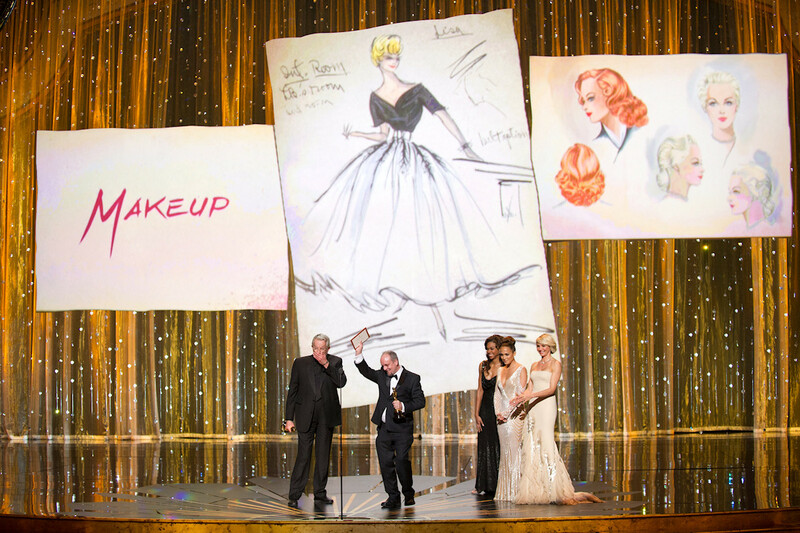 Fact 11: The Best Makeup Academy Award is the second newest award category and was introduced in 1981. Only the Best Animated Film Award is newer, existing since 2001. This year's winners Best Makup are Mark Coulier and J. Roy Helland for "The Iron Lady". Fact 12: It is more fun to follow the #Oscars buzz on Twitter than to watch the actual awards broadcast. Award ceremonies tend to be lengthy and boring. With Twitter, however, large media events get interactive and you can see what other viewers are thinking and share your witty comments in real-time. coole facts! hat spaß gemacht zu lesen.